I was overjoyed to experience the festival of lights known as Diwali. Diwali is celebrated by those that practice Hinduism, Sikhism, and Jainism, and is celebrated every year in autumn. Diwali celebrates good over evil, and the victory of light over darkness. I didn't know what I was in for, and what to expect as the ceremony began. 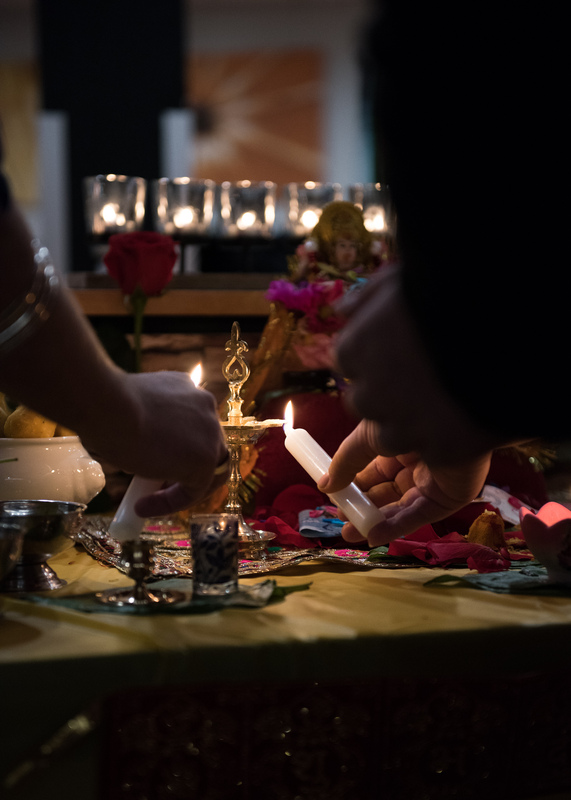 Suddenly, however, I found myself amongst the other Canadore staff being asked to participate in the very special Lakshmi puja ritual. I felt honored, and happily obliged. One of the celebrators put a bindi on each of the Canadore staff, myself included, and then we were taught how to perform the ritual. I felt extremely lucky to be a part of something so positive and beautiful, and to be able to meet the huge population of exchange students from India was a bonus. The celebration after the ritual was complete went on for hours, with everybody dancing, eating traditional food (vegetable samosas, chana masala, etc. ), enjoying fireworks, and just having an all-around great time. Being a part of the Canadore team, I am extremely proud of how our Diwali celebration turned out. It was inspiring to hear some of the students say that it was the best Diwali they've ever been too.